There are several good reasons why it makes sense to rent out your Dutch home to expats if you have to leave the Netherlands. 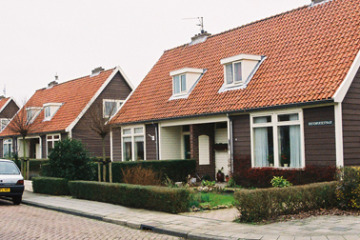 If, as an expat, you have decided to invest in buying home here in the Netherlands, congratulations! The thought of being relocated to another country should not stop you from taking such an important step. You can, after all, always let out your Dutch property when you leave. Here are some of the key benefits. Being open to the possibility of renting out your Dutch home gives a lot more peace of mind than the thought of being ‘stuck’ with it. Whether it is returning to your home country, or moving on to the next adventure elsewhere, letting your property allows you to do so without any worries. Being a home owner does not have to tie you down. Your freedom of moving is not being curtailed, you are creating an additional opportunity for yourself. Letting your apartment and being an expat may seem like an unlikely combination, but there are good reasons why it is financially worth it. First of all, letting your apartment gives you an additional steady income flow. Secondly, you won’t be paying for housing in two countries. If you have purchased a home in the Netherlands, letting also gives you the freedom to return to your home country if need be. Leaving your home in the hands of a stranger may not sound very appealing at first, but they will pay a deposit and look after your home. Letting your house or apartment not only benefits you, but the tenant family that needs a lovely place to stay. Letting your apartment gives you, as an expat, the ability to rent to expats. By renting out your home through an agency, you are more than welcome to specify that you wish your tenants to be expats. Having done it yourself, you will be able to relate to and understand how it is to rent a home as an expat. You also know very well that after a few years, it will be time to pack up and move once again. If you would like more information about letting your property, feel free to contact Principle Vastgoed with any questions you may have!